We ink roll your fingerprints onto fingerprint cards such as FBI FD-258 cards, FINRA cards, SF-87 cards, or any State specific cards and other forms requiring ink fingerprinting. We are certified to offer all of the same ink and digital fingerprinting that the local police departments and other law enforcement agencies offer. We have more availability than they do and we always have plenty of the FBI FD-258 fingerprint cards in stock at all times. The process is simple and very efficient. With our years of fingerprinting experience, you can count on Budget Fingerprinting to get it done right the first time! Most police departments will not furnish fingerprint cards to you. Police departments only fingerprint residents of their city and only on certain days and hours, such as 1 or 2 days per week and only 1 or 2 hours at a time. You may have to stand in line for a considerable amount of time and on occasion, they will be too busy to fingerprint you. 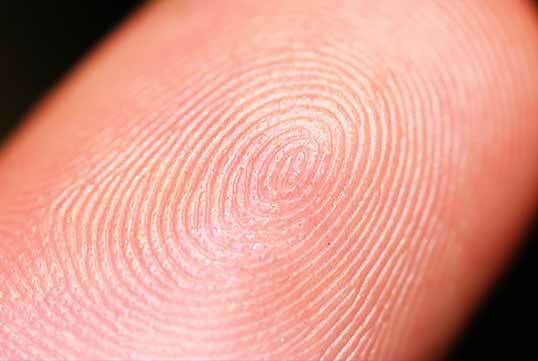 Some police departments use volunteers to fingerprint, who may not be well versed regarding the proper techniques that are required to produce excellent fingerprint recording results. If these fingerprints get rejected for poor quality workmanship, you will have wasted days or even weeks and will have to go and get fingerprinted again for a resubmission. Getting fingerprinted by an officer in a jail house booking area can be very intimidating. It’s much more convenient and less intimidating in our Irving office. We can fingerprint you in our office or we can travel to your location, whichever is more convenient for you. Budget Fingerprinting provides mobile ink and live scan fingerprinting services throughout Dallas – Fort Worth, TX! Why choose a mobile fingerprinting service? Now days, people are very busy and strapped for time. The cost of fuel is another factor they consider. We offer a convenient mobile service, in addition to office appointments, to give our customers a choice. Just call us at 214-529-8157 to schedule a convenient appointment. We travel all around the Dallas – Fort Worth, TX area and beyond. Convenience: When company executives and employees do not have time to travel out of the office to get their fingerprints taken, we can travel to them. Then, all they have to do is walk into a conference room to get fingerprinted quickly and then conveniently go right back about their busy work schedule with minimal loss of their valuable time. When executives and employees are required to complete multiple fingerprint cards for many different states, we can bring our FBI approved digital fingerprinting and archiving system to fingerprint them digitally in just 5 minutes per person and then we can print off all of the fingerprint cards they will need, including future card printing requirements by keeping their fingerprint record on file. This digital fingerprinting and archiving process is much more efficient. This way, the executive or employee will not need to spend time meeting for fingerprinting time and time again and you will save on future mobile trip charges. In this example, you would simply call or email us to print off additional fingerprint cards for you in the future (including any state specific cards) and we would get them sent out to you expeditiously from our office. We can make fingerprinting a very simple process for you! Below are some of the areas that we service for mobile live scan and ink fingerprinting throughout Dallas – Fort Worth, TX. If you don’t see your city below, just call us at 214-529-8157 to confirm that we service your area. If you need to quickly get your FBI report Apostilled by the US Department of State, we can help you get it processed 3 business days and Priority mailed to you on the 4th business day, so thay it only takes about a week for you to receive it start to finish (excluding weekends and holidays). If you plan to travel to a foreign country to live, work or attend school, many countries now require your FBI report to be Apostilled (certified/authenticated) by the U.S. Department of State. An Apostille is a certification provided under the Hague Convention of 1961 for authenticating documents for use in foreign countries. Documents destined for Hague Convention countries require an Apostille from the Secretary of State. The first step is to obtain your official FBI report (also known as a Criminal History Identity Summary or Police Clearance Certificate). 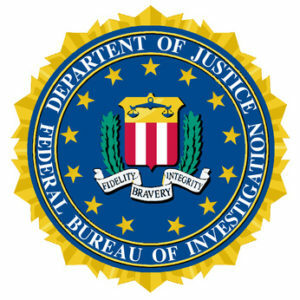 You can obtain your FBI report by mailing fingerprint cards directly to the FBI or we at Budget Fingerprinting can help you get it much faster by utilizing our state-of-the-art technologically advanced digital live scan system, even if you are not located close to our office – we have hard card scanning capability. Once you have your FBI report, the fastest way to get it Apostilled by the U.S. Department of State is to email us your PDF of your FBI report. We’ll then have the State Department begin the Apostille process for the country that you will need it to be Apostilled for. Our expedited process only takes 3 business days, and then on business day 4 we send your FBI report back to you with the attached Apostille from the Secretary of State. We will provide you with the Priority Mail tracking number. It only takes about 1 week for you to receive your Apostille. Nobody can get it faster for you than Budget Fingerprinting can! Official FBI Criminal History Reports FAST! The FBI Criminal History Report is also known as a Criminal Identity History Summary, Police Clearance Certificate, and Rap Sheet. COMPLETELY AUTOMATED electronic fingerprint transmission through an FBI approved Channeler. This is the fastest way to obtain an official FBI criminal history report to live, work, or travel in a foreign country, for personal review, foreign adoption, or attorney requests. Per the FBI, the report is not to be used for the purpose of licensing or employment. If you are not located close to our Irving, Texas office, we can still help you by scanning completed fingerprint cards and by submitting them electronically. For live scan service for the FBI report, you are required to either be a US Citizen or a Legal Permanent Resident with a current green card. If you are neither one, you will be required to send traditional ink fingerprint cards to the FBI for processing and we can help you with certified ink fingerprinting on the FBI FD-258 fingerprint cards. When time is of the essence, our digital live scan procedure is your best option as most reports are received within a couple of hours after being fingerprinted. Budget Fingerprinting can help you obtain an authentic FBI criminal history report by digital live scan electronic transmission so that you don’t have to wait days or weeks to receive your report. Most often, you will receive your FBI report within a couple of hours after we transmit your fingerprints to the FBI. The FBI manually processes FD-258 fingerprint cards sent in from all over the country so because of their enormous daily workload, it can take them several days to process a criminal history report for you. When we transmit your fingerprints via live scan electronically, the FBI’s computer system runs your fingerprints against their criminal databases lightening fast without the need for manual processing, thus significantly shortening the turnaround time for you to receive your report (within hours vs. several days). 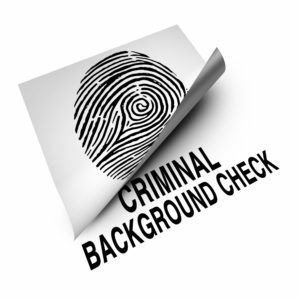 Personal review to ensure accurate information reporting or to review prior to applying for job positions that will require a criminal history background check. Foreign travel or international student or work visas. To establish residency and live in another country. Attorney requests or for court related matters. To challenge errors and inaccurate information. An individual may obtain a copy of his or her FBI criminal identification record for review and correction purposes, to challenge the information on record, for court-related matters, or to meet requirements to live, work or travel in a foreign country. Your fingerprints are electronically transmitted to an approved FBI Channeler for a complete search of FBI criminal history records through the FBI’s CJIS Division. Your personal criminal history report will encompass arrest records from all 50 states and over 3,000 counties across the United States. If you prefer, your FBI Criminal Report can be printed on tamper proof blue security paper to prevent fraudulent changes or modifications. FBI security standards require FBI Channelers to purge all FBI criminal report information within 1 month after it has been delivered to you. Because of these guidelines, it is best practice for you to save the PDF of your FBI report in case you need additional copies. FBI criminal history reports may be submitted to the U.S. Department of State in order to obtain an Apostille (authentication) Certificate. Many countries now require this additional step prior to issuing your visa or residency in their country. Budget Fingerprinting can help you obtain the Apostille Certificate within a week! You may not request an FBI report transmitted through an FBI Channeler for employment and/or licensing purposes within the United States. This type of request should be coordinated with the appropriate state identification bureau (or state police) for the correct procedures, which normally requires fingerprint card submission or live scan transmission to the particular state processing the background check. Additionally, Budget Fingerprinting is certified to fingerprint by ink on fingerprint cards, or by digital transfer to fingerprint cards, as requested for any state application (all 50 states), Immigration, and most reasons that traditional ink fingerprinting is required. We are now authorized to transmit by live scan to the Florida Department of Law Enforcement as an approved live scan device vendor, including hard card scanning capability. We are highly trained and experienced to maximize the quality of fingerprint images obtained on our technically advanced state-of-the-art live scan equipment, which significantly reduces the likelihood of transmitting illegible fingerprints (less than a 1% rejection rate). The live scan software has built in FBI scoring algorithm to help guide us towards obtaining the best fingerprints possible. 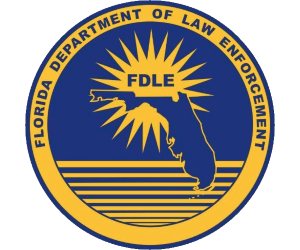 We are FDLE authorized to process live scan fingerprint transmissions directly to the Florida Department of Law Enforcement (FDLE) for Level 2 background checks. You will need to provide us with an ORI number (Originating Agency Identifier). If you are not located close to our Irving, Texas office, we can still help you by scanning in completed fingerprint cards into our FDLE software to submit to Florida electronically. Most background checks are completed within 24 hours and you will be given a Transaction Control Number (TCN) that is unique to your individual fingerprint record so that you can keep track of your background check on the FDLE website. An ORI number is a code that tells us why you are getting a Florida criminal background history check. You will be given instructions (from the regulatory agency requiring a background check) that includes a specific ORI number (Originating Agency Identifier). Florida Live Scan background checks are completed within 1 – 3 business days (most often 1 day) of receiving your electronic fingerprint transmission. Your employer or regulatory agency will provide you with the ORI and Budget Fingerprinting is not responsible for selecting the correct ORI number for you. It is important to use the correct ORI number when we transmit your fingerprint records to FDLE so that the correct agency requesting your background check will receive your completed background check results. We are an approved Live Scan Vendor by the Florida Department of Law Enforcement to submit your fingerprints electronically. Section 435.04 mandates that Level 2 background security investigations be conducted on employees, defined as individuals, required by law to be fingerprinted pursuant to Chapter 435. You can verify that we are on the FDLE approved Live Scan Device Vendors and Service Providers list. Just go to this link http://www.fdle.state.fl.us/Criminal-History-Records/Documents/ApplicantLivescanService-ProvidersVendors.aspx. You may also verify we are approved by calling FDLE at (850) 410-8161 (FDLE Criminal History Services Section). We are listed at the top, shown as DallasLiveScanFingerprinting.com. If you reside out of state or are unable to visit our location to be fingerprinted, we have a solution for you! We utilize advanced scanning technology to convert traditional ink fingerprint cards (“hard cards”) into an electronic fingerprint record, then we transmit fingerprints electronically to FDLE just as if we had scanned your fingerprints in person. Converting a “hard card” into an electronic record enables an applicant to have their fingerprint record processed more efficiently than traveling to our office! Just call or email us if you need more information regarding this convenient hard card scanning process. FINRA electronic fingerprint submission (EFS) is the fastest way to obtain results for your FINRA background check. For electronic submission, we'll need your company's CRD number, and company name & address as listed with FINRA. Budget Fingerprinting is authorized to handle all of your electronic fingerprint submissions (EFS) to FINRA. We have been approved to submit EFS under the guidelines established by the FBI and FINRA. Currently, there are less than 15 companies in the U.S. with the capability and authorization to submit fingerprints electronically to FINRA and we are proud to be one of them! As a certified vendor, we offer a secured connection where fingerprints can be submitted electronically with results being delivered back to the broker dealer through the FINRA CRD. Electronic fingerprint submissions allow for much faster processing times vs traditional ink fingerprint card processing, higher quality fingerprints as scored on our live scan system by the FINRA and FBI scoring algorithm, reduced rejection rates, and lower FINRA fingerprint processing fees assessed to financial firms that are requesting the background checks. Our advanced digital fingerprinting software is capable of capturing digital fingerprints and archiving them in our secure server for future fingerprint card printing. This is inkless, clean and efficient and eliminates the need for you to continuously get fingerprinted over and over again. We scan your fingerprints, then store them securely, and print fingerprint cards as you need them on any type of fingerprint card, including all state specific cards. We fingerprint in our Irving office or at your location. Just call for a price quote and convenient scheduling at (214) 529-8157. Archiving fingerprints provides accuracy and convenience: When company executives and employees need to get their fingerprints recorded over and over again, it’s much more convenient to digitally record them in 5 minutes per person and store them for future use. When executives are required to complete multiple fingerprint cards for many different states (10 or more cards for example), this archiving process is so much easier than fingerprinting them by traditional ink …. card after card after card. Our process saves them time by fingerprinting once (and quickly) and they do not need to be fingerprinted over and over again in the future. A common misconception about printing digital fingerprints onto cards (and we hear this every day) is that some states won’t accept them, that they must be ink fingerprints and not digital live scan. All states and agencies accept fingerprints digitally printed onto fingerprint cards. They are not being transmitted electronically, they are only being printed as black ink fingerprints just the same as traditional ink pad rolled fingerprints. Whether the fingerprint comes from the ink pad or the laser jet printer, they are black ink fingerprints on fingerprint cards. Digitally scanned and printed fingerprints are actually preferred because the fingerprints are often more clear, they are smudge proof, and the FBI scoring algorithm built into our software scores each fingerprint and tells us if we have good, bad or fair scoring fingerprints. In this example, you would simply call us to print off additional fingerprint cards in the future (including state specific cards) and we would get them sent out to you quickly from our office. We make fingerprinting a very simple process for you! If you have executives or employees in other states, we can scan their fingerprint cards into our digital system and archive their fingerprints for future fingerprint card printing too! All we need for them to do is get fingerprinted in their area and send us the fingerprint cards to scan into our system. We make the process easy for everyone involved! Digital fingerprint archiving is by far your best, most convenient option. However, we do also offer traditional ink fingerprinting if archiving is not your preference and we are very proficient and experienced at recording excellent fingerprints for you by either method. Real Estate Closing – Signing Agent. Notes from parents or legal guardians providing permission for minors to travel. Other miscellaneous personal and legal documents.